Sadly, the Llamacorn is only a mythical creature, at least for now. Good news, she is ready and waiting for her furever home! Magical fantasy meets sweet cuddly llama in a wonderfully fanciful creation of the Llamacorn. 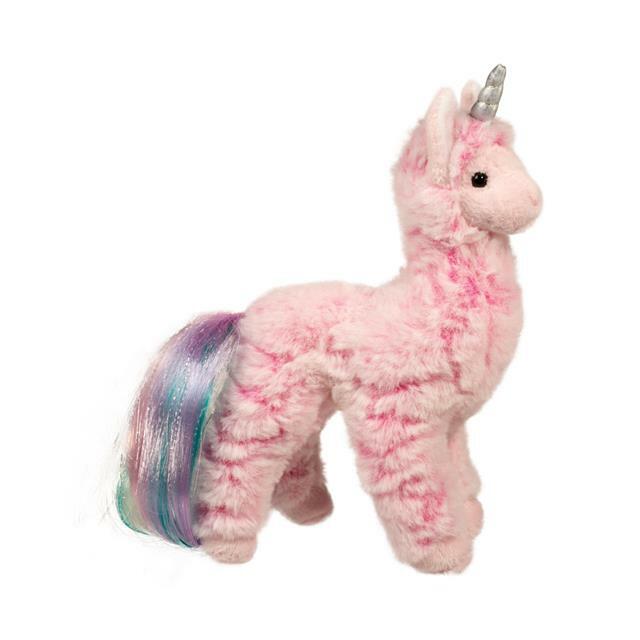 This stuffed Llamacorn is ultra scrumptious in her soft pink plush and sweet-as-pie face. The magic starts when the stuffed Llamacorn's rainbow brush able tail and silver horn join the party! At 8.5" tall our Llamacorn is happiest to hop in your bag and come along for the adventure! The realistic design you expect from the talented New Hampshire-based Douglas Design Team and the fanciful fun you didn't even know you needed, until now!